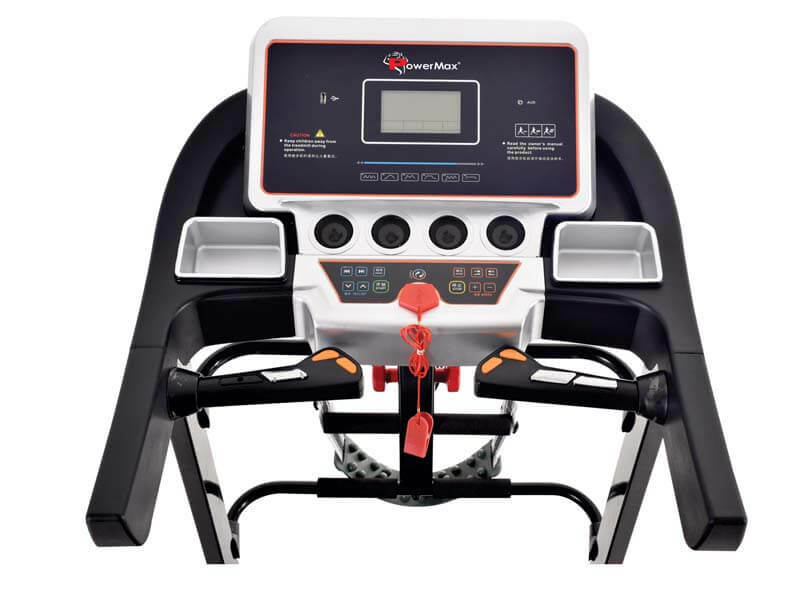 A premium take on the popular, high-incline treadmill, The PowerMax Fitness TAC-325 Semi-Commercial AC Motorized Treadmill takes your training to a whole new level. The wonderful thing about the treadmill is that it is a functional exercise – meaning that it mimics an everyday activity (minus the outdoor terrain). Plus it gives you the ability to run during inclement weather. a treadmill is easy to assemble, easy to use and easy to store. 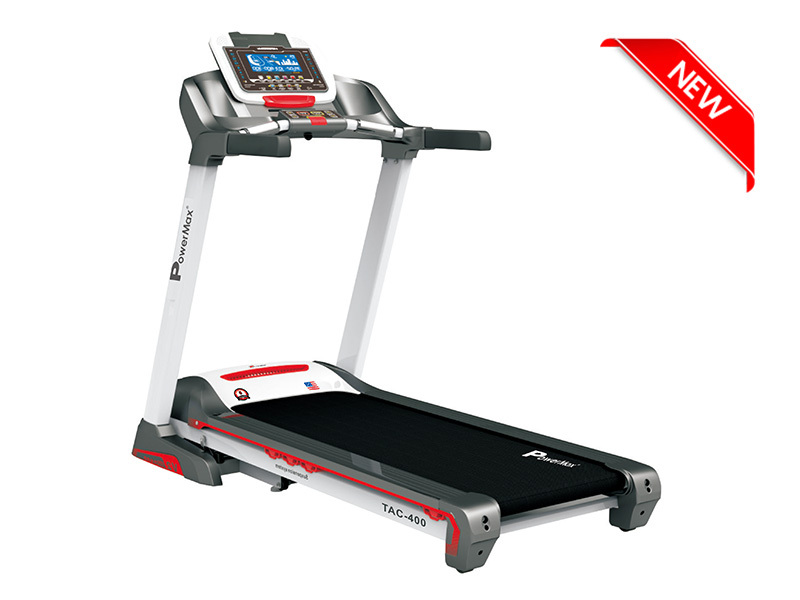 It features the exceptionally quiet 2.0HP AC Drive Motor and the perfect amount of flex and support with the exclusive three-zone cushioning system. 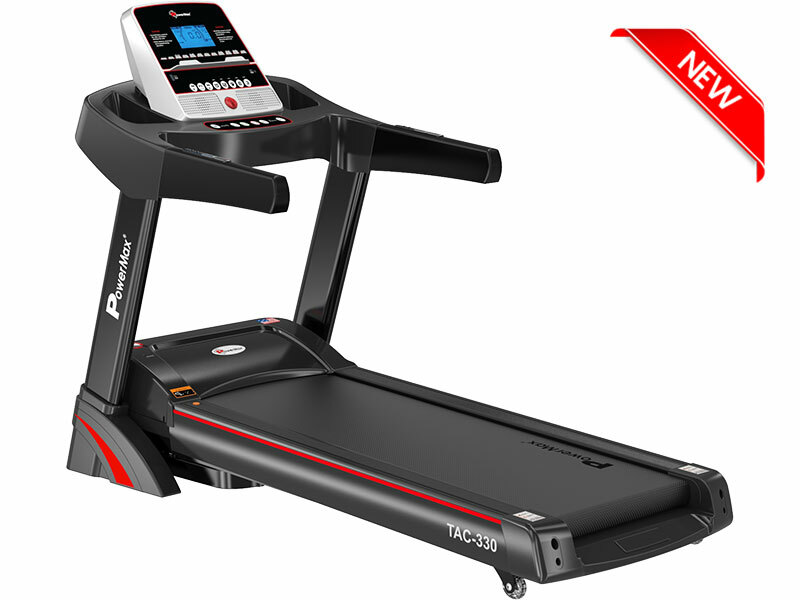 A premium take on the popular, high-incline treadmill, The PowerMax Fitness TAC-325 Semi-Commercial AC Motorized Treadmill takes your training to a whole new level. The wonderful thing about the treadmill is that it is a functional exercise – meaning that it mimics an everyday activity (minus the outdoor terrain). Plus it gives you the ability to run during inclement weather. 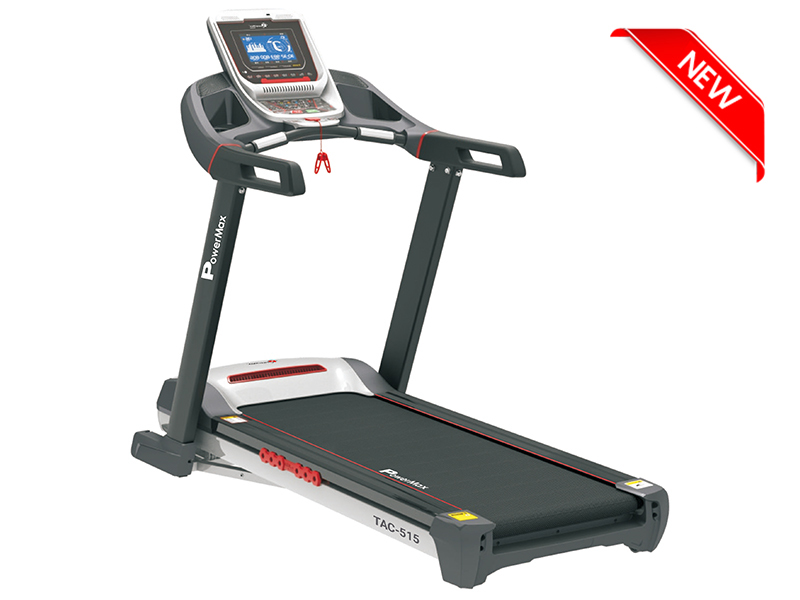 a treadmill is easy to assemble, easy to use and easy to store. 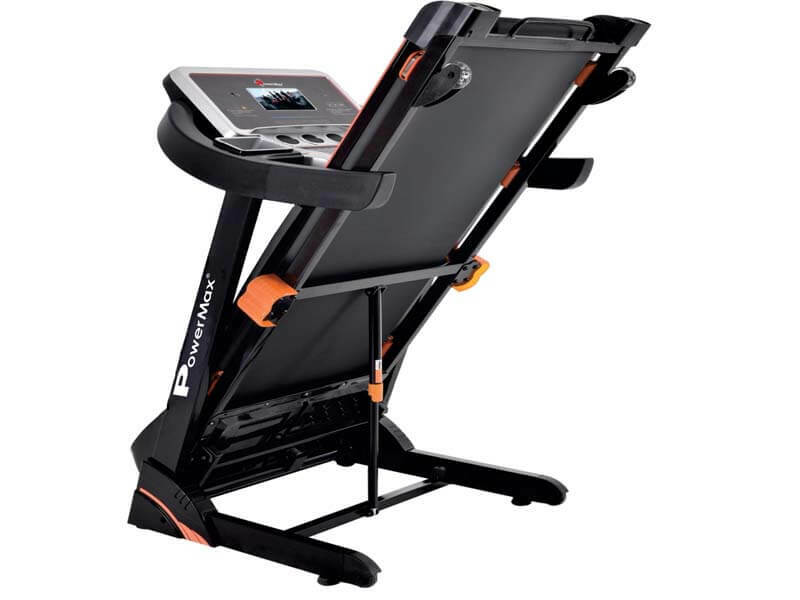 It features the exceptionally quiet 2.0HP AC Drive Motor and the perfect amount of flex and support with the exclusive three-zone cushioning system. 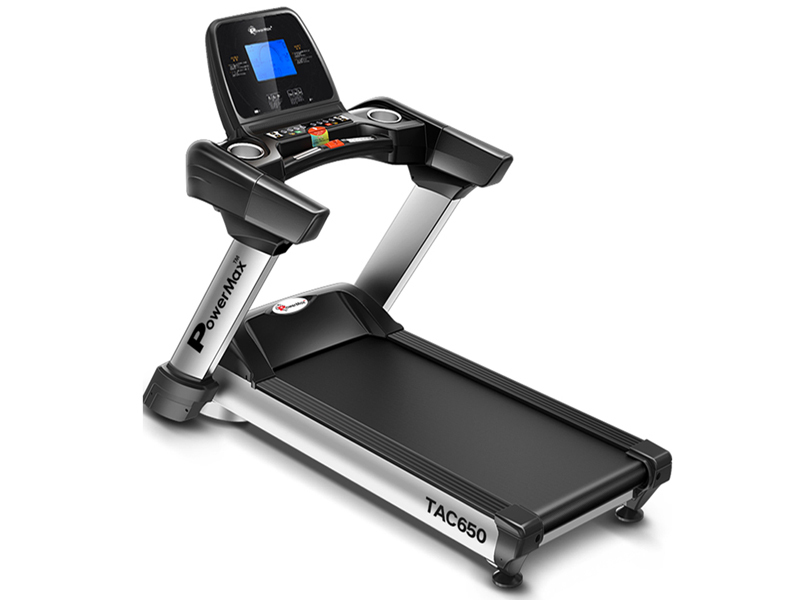 The running belt of TAC-325 treadmill is of multi-ply polyester satin weave with a PVC non-slip surface of 1.8mm thickness and the precision-machined, steel crowned rollers keep belt centered and running smoothly to reduce noise. 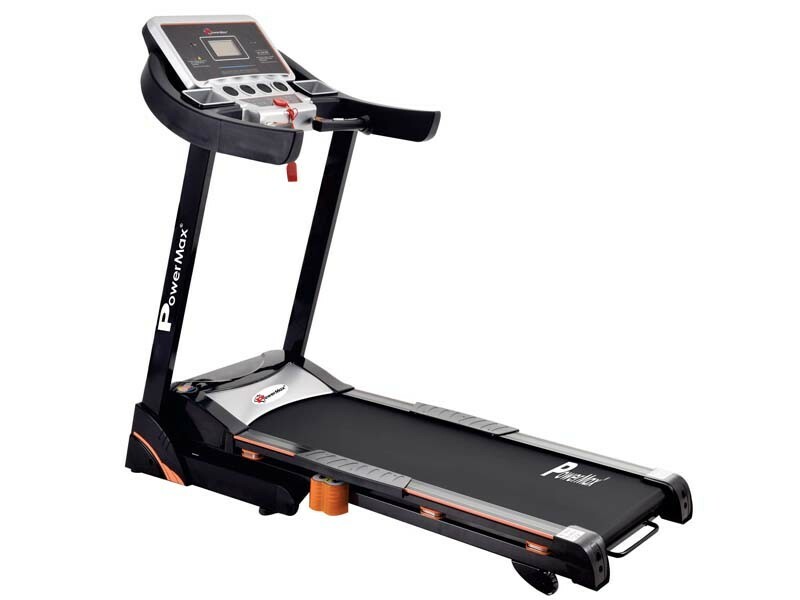 The best part of the treadmill is double power spring on both side with softflex spring and double layer running board damping system to reduce stress on your joints. 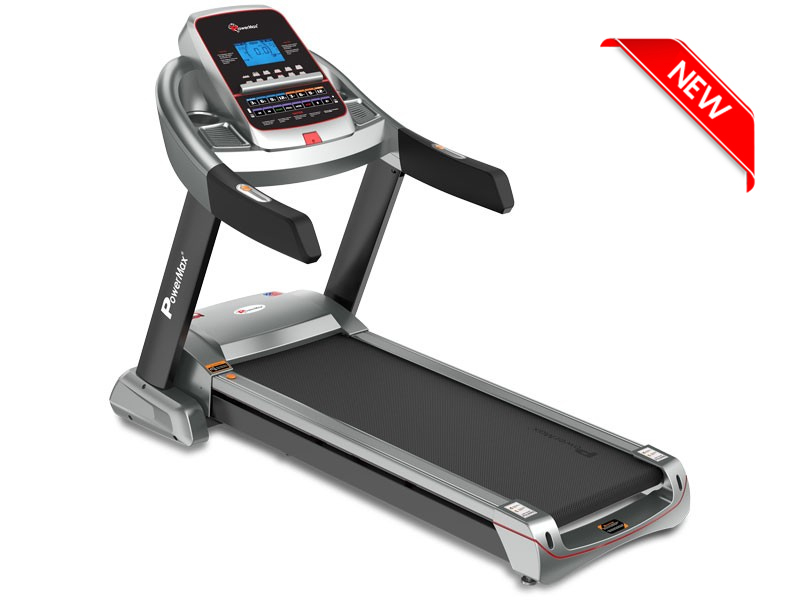 The treadmill has pre-set program provides 12 set of pre-defined workouts that offers a variety of challenges for you. You can also calculate your BMI (Body Mass Index) using the FAT function and keep track of your body condition. The TAC-325 helps to calculate the BMI/Body fat to know whether you are fat or healthy. Shock Absorption / Cushioning Double power spring on both side with Soft flex spring & double layer running board damping system to reduce stress on your joints. 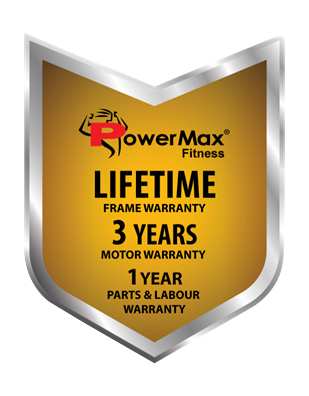 The Powermax TAC-325 Treadmill comes guaranteed with a lifetime frame warranty, a 3-year motor warranty, and 1-year parts and labor warranty.